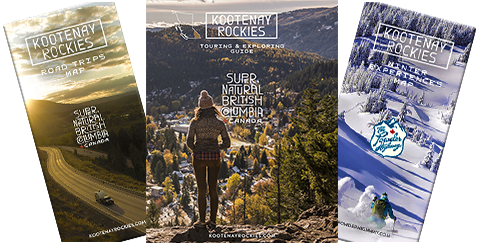 The Explorers Society Hotel, located in Revelstoke, is the place where like-minded adventure oriented people gather. The Explorers Society was built for travelers that take the quality of their accommodation as seriously as they take their outdoor adventures. They are Revelstoke's first boutique hotel, with 9 rooms, a flexible community event space, rooftop guest lounge, an all-new French-inspired restaurant, the Quartermaster Eatery, and The Boiler Room, a perfect place to enjoy hand-crafted cocktails. Enjoy French-inspired inventive food, carefully crafted and locally sourced by their head chef Olivier Dutil. The Quartermaster Eatery has a spacious bar, seating for 72 and a cozy mezzanine. They also cater in the McKinnon Hall event space for private groups up to 175 or deliver their delicious food straight to your room. Open every night for dinner. Reservations Recommended. Enjoy hand-crafted cocktails in the presence of their building's 100 year old coal fired boiler. The Boiler Room is the perfect place for snacks, curated whiskey, premium liquors and craft cocktails.